We received 8 tenths of an inch of rain over the weekend that took us out of the fields. As of Friday we had 85% of the corn in the ground after starting on the 20th. 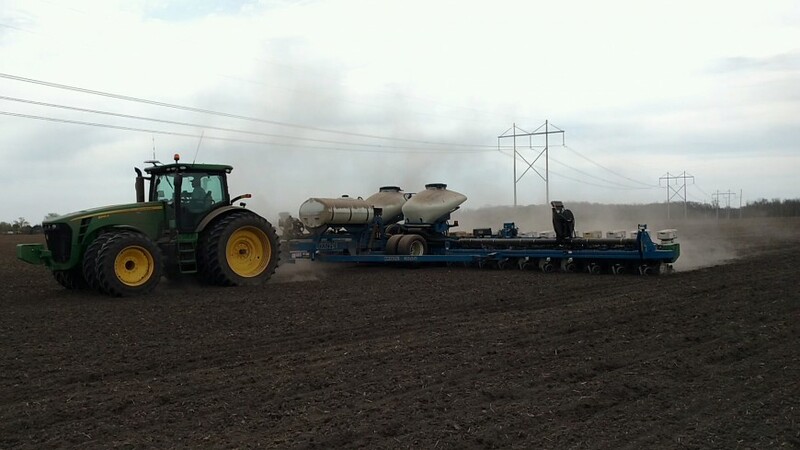 The planting conditions were as good or better than any we’ve seen since 2012. We should finish planting the corn in one good day. The first planted corn is up and looking good. As soon as it warms up we’ll be back at it finishing the corn, spraying burn-down on the bean ground and getting ready to plant beans. We are also scouting the corn for cutworms as it emerges. Rod has been trapping cutworm moths here at the shop for over a month and the counts are high. We are expecting to have to spray some of the no-tilled corn for cutworm.